New Guild Rule: Using same name in discord as ingame/teamspeak. We have a new guild rule that will prevent confusion of who is who on discord/teamspeak and ingame. We already had the guild rule to use the same name on teamspeak as ingame (or something close) but now we want to take this rule to discord as well, so its much easier to see who is who. Please edit your nickname in discord according to your ingame name/teamspeak name so its much easier to see for everyone. The rules on teamspeak and on the forums has been updated to show this to new members as well. Click here to see how to change your discord nickname in our server. Before the ending of CBT1 I would like to make some awesome screenshots of the guild together! This will be done upcoming sunday at 21:30 CET! We will be making some screenshots at our base and at the beach! Closed Beta is starting in 1 hour and ofcource we have a event planned for you guys, and this time the community too! Together with Eterna Gaming, we and Cupcake Thunder are going to host the Guild Screenshot Competition. Eterna Gaming takes NA, we take EU for voting and judging. Every guild in revelation online is allowed to give us a single screenshot of their guild, wich we can vote upon in a thread. Every screenshots gets a thread made by me where every Cupcake member will be able to Judge a screenshot based on Action, Scenery and character pose/beauty. You can give 1/10 to 10/10 on EVERY of these points. Examples will be found soon on our event forum. Voting ends in 15 days starting NOW, so be sure to keep checking this forum to give your votes! A new officer in town! There is a new officer in Cupcake Town- Masuzu! 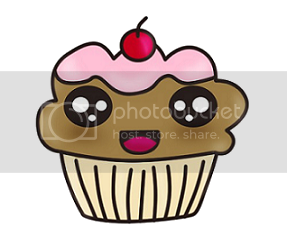 Hi all my fellow Cupcakes! I just created a new thread where we can show each other our countryside. Feel free to drop pictures! All hail the mighty Cupcakes!